Building Listed Grade: . Click for Heritage details. 1857 - 8 Church built by C. H. Howell. 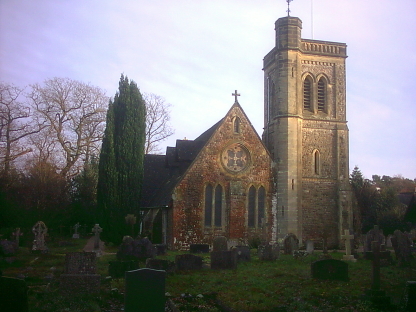 1867 Parish created from that of Kemsing. 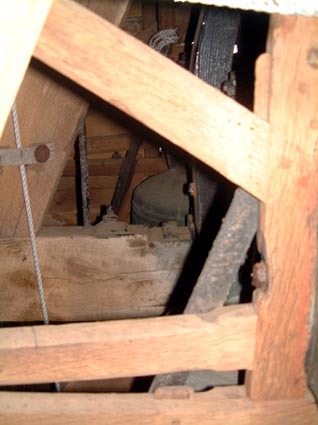 1868 June Church consecrated together with the 2 small bells provided in the open gable. 1887 - 8 Tower built by F. W. Hunt. 1888 A new ring of 6 was cast by Mears & Stainbank. 1932 Bells rehung by Mears & Stainbank. 1951 Clappers reforged and refitted with new leather baldricks. 1972 Belfry overhauled and rehung. 2013 The ring was remodelled into a lighter ring of 6 by using the 4th as the tenor and casting 2 new trebles. 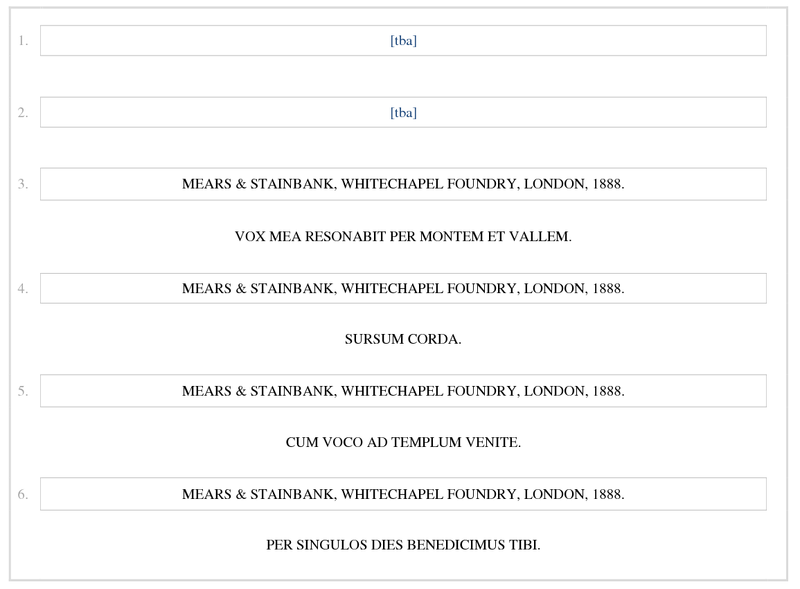 The work was done by Whites of Appleton, with the new bells cast at Whitechapel. 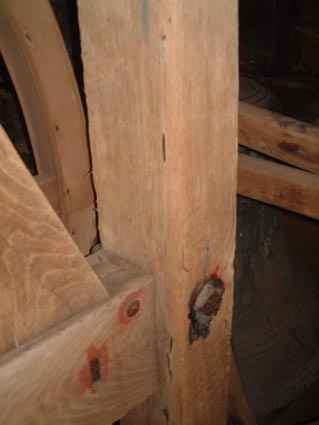 The new ring was first rung on 23rd July. 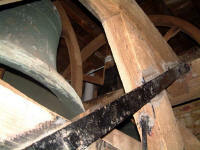 These next three photographs are of the bells before the remodelling in 2013. The bells in this belfry were very difficult to photograph owing to the fact that the bellframe took up most of the space.